Whether you are the new business on the block or a Hartsville classic looking to expand, we offer a variety of resources to guide your efforts. For your convenience, the City has gathered a quick list of tips about Opening a Business in Hartsville and offers a comprehensive Business Assistance Guide. Learn more about what makes doing business in Hartsville so great in our Why Hartsville? investment guide. 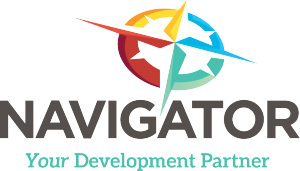 Business Navigator staff are always here to guide you through City processes and incentive programs and advise on local regulations. For tailored support of your business concept, Main Street Hartsville, Startsville, and the Chamber of Commerce all offer a variety of programs and professional staff to counsel and support our business community. The City offers a host of incentive programs to entice business development. Find more information here. Hartsville’s Economic Development Incentive Program – This program allows the City of Hartsville may make offers increasing Hartsville’s attractiveness to private developers interested in investing in developing new commercial construction and the rehabilitation of existing buildings located downtown and the corridors of Fourth, Fifth and Sixth streets. Sidewalk Vending Permits – Sidewalk vendors may apply for a permit to conduct business in the City of Hartsville. Strategic Investment Zones (PDF) – Local ordinance allowing for incentive agreements to support development or redevelopment of infill parcels in the designated Strategic Investment Zones.